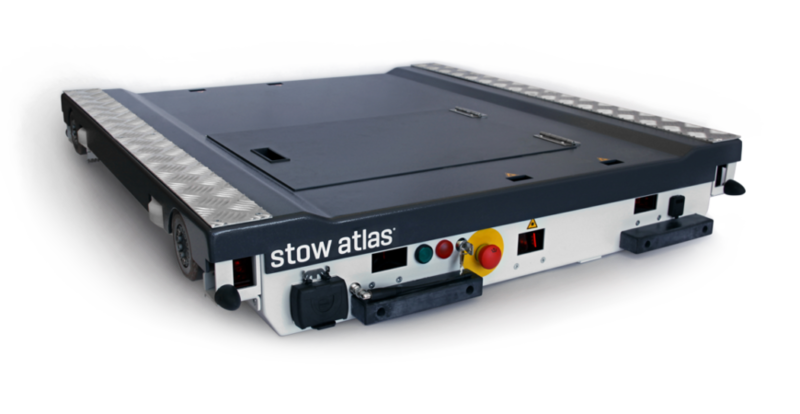 Optimise storage capacity with the innovative Stow Atlas® Pallet Storage System, an integrated deep lane storage and retrieval shuttle system. The Stow Atlas or Pallet Shuttle is used as a carrier to move pallets within a specially designed racking structure. This Stow Atlas Shuttle System is a self-powered automated system, consisting of racking and a mobile shuttle that moves along a set of rails in storage lanes. This creates a very efficient and effective way of loading and unloading pallets. A standard-size forklift is all that’s needed to transport the Stow Atlas Shuttle to the desired location at the front or the back of a lane. The pallet shuttle can then load and unload goods without any need for human intervention, guaranteeing the highest possible storage density and efficiencies. The pallet shuttle can easily be operated by the fork lift driver using a remote control. The pallet shuttle returns to its initial position once the work has been completed, and is ready for its next task. Each pallet shuttle unit includes a set of rechargeable batteries. Rechargeable batteries included, offering more operational efficiency. 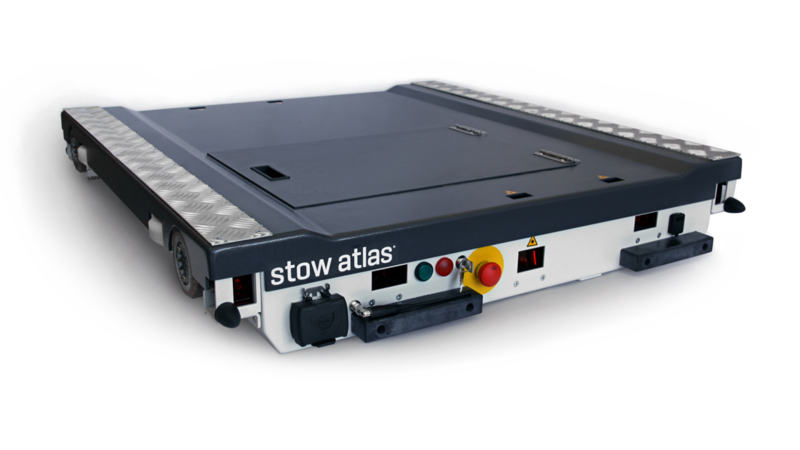 The Stow Atlas® Pallet Shuttle System is FEM, EN ISO9001 compliant.  All parts have been rigorously checked and tested and every component is cost effectively produced by Stow in a fully automated manufacturing plant to the highest of quality standards.